Malbec just tastes right this time of year. In the summer, I always try to keep a few bottles on hand for cookouts, and whenever I go shopping there always are new bottles I want to try. This wine, though, counts as a familiar favorite--one of those wine friends that we know we'll enjoy spending time with. 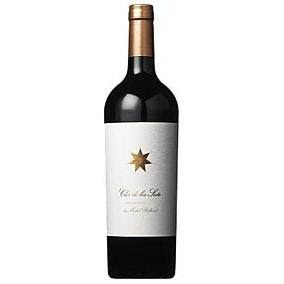 The 2008 Clos de los Siete Clos de Los Siete is made by Michael Rolland from grapes grown in the Mendoza region of Argentina. This rich, smooth blend traditional Bordeaux grapes (suggested retail, $19; available for $15-$20) including not only Malbec but Cabernet Franc and Cabernet Sauvignon, has excellent QPR with its plum, herb, and espresso notes. There is some smokiness in the aftertaste, making it a wonderful partner for grilled food such as steak, chicken, pork, and sausages. Malbec goes very well with Mexican cuisine, and we had it with Chile-Spiced Skirt Steak Tacos. The Ancho and Chipotle chile powders in the marinade add a rich, flavorful dimension to the meat that is perfect with a rich, smoky wine like the Clos Los Siete. Good value, high quality, authentic-tasting Chardonnay may be America's most wanted wine. Sometimes, you might think it's as difficult to find as it would be to track down a known fugitive. Why is there so much terrible cheap Chardonnay? Every year there seems to be more of it. But finding a good bottle that is also affordable--that's the trick. In the summer, the high temperatures and our tendency to serve foods like grilled chicken, corn, crab, and fish make even those of us who are not huge Chardonnay fans head for the store in search of that elusive bottle. When I made some fantastic Tandori-style grilled chicken and slapped it between some grilled naan for a fast weeknight supper, I was definitely on the hunt for a Chardonnay that would be rich but not overly oaky, and luscious without tasting fake and plastic. Here are some recommendations for Chardonnays that fit the bill--both in terms of cost and taste. 2008 Trefethen Chardonnay Double T (available for $15-$19) This nicely-balanced Napa Valley Chardonnay had authentic, creamy oak and baked apple aromas and flavors. Though it was rich, there was plenty of acidity to keep it from getting to flabby. Very good QPR. 2008 Hayman & Hill Chardonnay Reserve Selection Russian River Valley (SRP $15; available for $14 to $17) Another California Chardonnay, this one from the cooler climate of the Russian River Valley, delivered creme fraiche, apple, and citrus aromas and flavors. The citrus notes kept the wine quite lively, although this was still a full-bodied wine. Layered, complex, and very good QPR. 2008 Concannon Vineyard Chardonnay Conservancy Livermore Valley (SRP $15; available for $9 to $13) From the Livermore Valley, the Concannon Vinyeard bottling struck a perfect balance between richness and freshness with its abundant apple, citrus, pear, and sour cream aromas and flavors. This well-made wine will appeal to those who like their Chardonnays rich, without turning off those who prefer a wine with a lighter flavor profile. Very good QPR--and excellent QPR if you can pick it up for around $10. As I've said before, there is nothing "petite" about Petite Sirah. This is a grape that produces big, blowsy wines with intense fruit flavors and a lushness that stands up to almost anything you throw at it--grilled steaks, hamburgers, chili, stew, and summer's favorite BBQ. Finding a Petite Sirah for under $20 that doesn't tend towards the cough syrup side of the spectrum, however, can be a bit of a challenge. Lush is good, but syrupy is not. If you like big, bold reds give one of these beauties a try. 2007 Concannon Vineyard Petite Sirah Conservancy Livermore Valley (suggested retail $15; available from $13) This is a dark and brooding Petite Sirah with plum and black cherry notes in the aromas. Your first sips will confirm that impression, but in the aftertaste the flavors linger and turn darker with a tarry edge that keeps the wine interesting. Very good QPR. 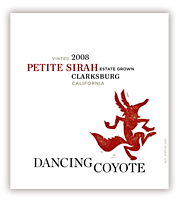 2008 Dancing Coyote Petite Sirah ($10.99) This steal from Clarksburg has terrific varietal characteristics and is a bit lighter on its feet than many Petite Sirah. I loved the black cherry, mocha, and roast coffee aromas and flavors and the balance between fruit and acidity in the wine. The aftertaste was nicely spicy, as well. Excellent QPR. No matter how much wine you drink, nobody knows everything. Recently, I've been sampling some wine from Ca'Momi Wines. Located in the pricey Napa Valley, this is a winery that makes some extraordinarily affordable and delicious wines. Put it on your list of small producers to watch for and ask your favorite retailer to get some of their wine in stock. A wine that I was particularly taken with was the NV Ca' Momi Ca' Secco ($16.99) This was summer in a bottle, with aromas and flavors of Meyer lemon and tangerine. The overall impression was round and fruity, but it was also quite refreshing with a medium-sized bubble to keep everything lively and light. The aftertaste was dry, as you might expect from a blended sparkler made with Chardonnay, Sauvignon Blanc, Riesling, Gewürztraminer and Muscat. Very good QPR. Because of all the citrusy elements in the wine, it would be an ideal choice for summer brunch, or for a lazy afternoon watching the sun go down. As a historian I may be prejudiced, but in my opinion there's nothing wrong with traditional--especially not when it comes to wine. I like big New World fruit bombs, too, but find myself gravitating more and more these days to wines that may emphasize secondary flavor elements like minerals, herbs--even dirt!--over juicy fruit. The Languedoc region seems to be full of such bottlings, and one of the treasures I've come across recently is the 2006 Mas Bruguiere Coteaux du Languedoc Pic St. Loup La Grenadière (suggested retail $16; I can't find availability online) The wine is decidedly traditional in style, putting its spicy, peppery foot forward before the fruit. Once the fruit shows up, it has dry plum and berry fruit flavors and some spiciness, and a lick of pepper in the aftertaste. This very enjoyable wine delivered very good QPR. This region delivers exceptional value, and it's worth getting to know it. Is there a summer white that goes with nearly everything? With the exception of steak and hamburgers (and maybe even with these, if it's your fancy), the answer is yes. The 2008 d'Arenberg The Stump Jump is summer's equivalent (in wine terms) of the little black dress. Made from a blend of Riesling, Sauvignon Blanc, Roussanne, and Marsanne the wine has a clean, slightly off-dry flavor profile of apples, pink grapefruit, melon, and hay. I found it surprisingly complex for a wine that retails for a little over $10 (and which you may find at a store near you for between $8 and $11). Excellent QPR. Soft and appealing, The Stump Jump is an ideal candidate for most summer foods including spicy dishes that you stir fry in a flash, appetizers passed on the back deck or by the pool, light bites when it's too hot to eat, and grilled fish and chicken. Buyer Warning: There is a red version of The Stump Jump, so if you're looking for the white wine, be sure you specify.